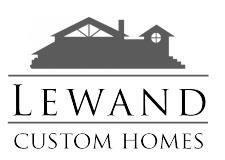 Lewand Custom Homes is the foundation of Lewand Building Companies. Since 1995, we have crafted high value homes in upscale settings for numerous clients. We surpass the ordinary by working closely with our home owners to build fine custom new homes or imaginatively transform their existing one. We have earned and maintain our strong reputation by giving customers the best home-building experience possible. From beginning design to move in-day, our skilled team is with our client every step and our innovative process ensures our client is kept up to date with all the creative details that are unique to building a custom home. Our team is committed to fitting each home or renovation to meet the needs and design desires of each client. We are proud to be a local home builder whose standards of craftsmanship transform our neighborhood homes into the centerpiece of family life.